I think the scan says it all. Absolutely precious! 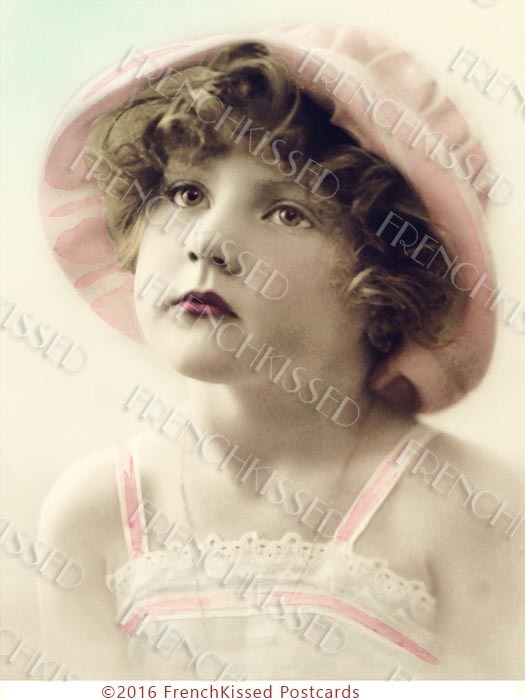 This is a scan from an early 1920s French postcard, a real photo that was color tinted by hand. The little girl has the face of a cherub! This image is 300 dpi, Personal Use Only, at about 3.5 by 4.5 inches (little bit smaller than typical antique postcard size -- I eliminated white space at the bottom for writing and concentrated solely on that sweet face.